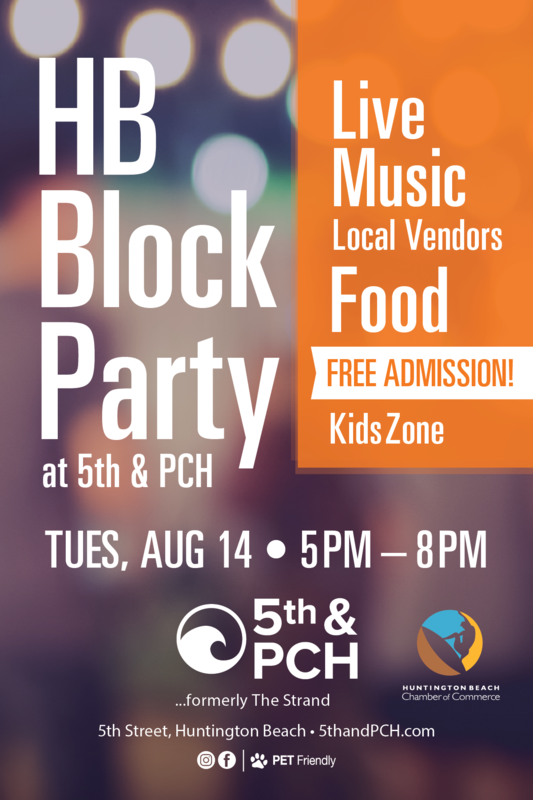 Join us at 5th & PCH on Tuesday, Aug. 14 for the brand new HB Block Party, adjacent to Surf City Nights and sponsored by the HB Chamber of Commerce. Experience food, music, local businesses, and more. Register today to secure a premier location for your business!